New Zealand Couriers were looking for a solution which would help their account management team to identify upsell and cross-sell opportunities within their customer base. They needed a way for their reps to be able to conduct guided customer research to gather feedback about customer behaviour and verify that the information captured was accurate. Off the shelf survey platforms did not provide the levels of customisation and integration required to make this project a success, so Calibrate was tasked with building a custom application. We scoped and built a custom web application which enabled New Zealand Couriers reps to conduct a guided survey of their customers over the phone. Our web based survey ensured that the right data was captured in a consistent format and stored in a secure backend database. 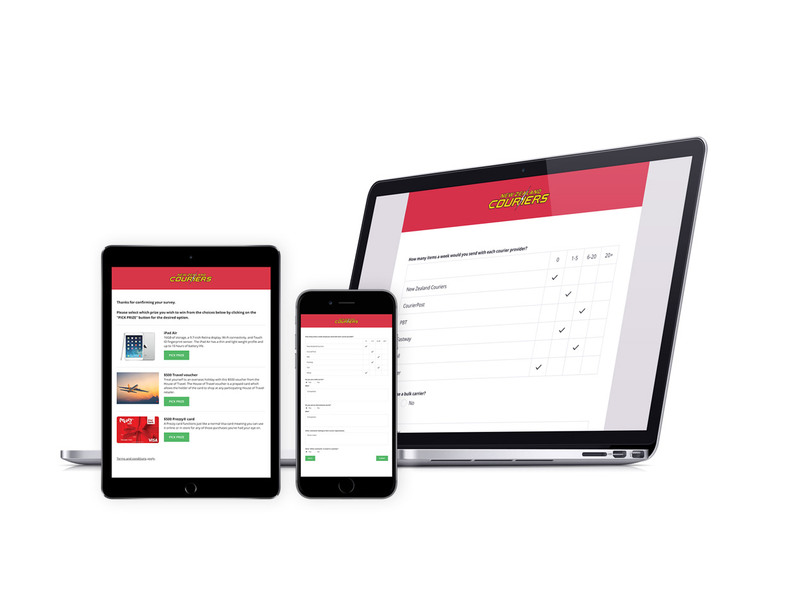 Completed survey responses were automatically emailed to customers, enabling them to independently verify the accuracy of their answers and select a reward of their choice for participating. Internal notifications and a backend reporting dashboard were also built in to the platform which enabled the marketing team to track and analyse the results of the survey in real-time. New Zealand Couriers was thrilled with the amount of surveys their team was able to capture using the solution developed, a significantly greater number than anticipated at the outset of the campaign. The data produced by the surveys has enabled them to better segment their customer base and laid the foundations for future campaigns to be more targeted and effective.